The next must have shoe by Jeffrey Campbell is here: the tip toe shoe! 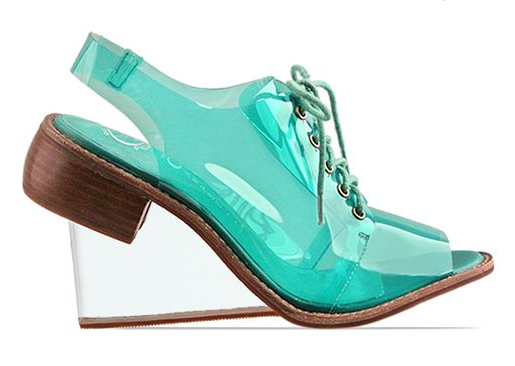 With a clear, lucity wedge heel, it looks like you're walking around on your toes... worth $145 at Solestruck? It's selling out quick, so don't take too long to decide! It also comes in completely clear and a transparent black.